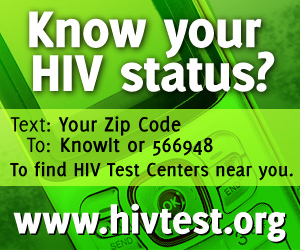 HVCS offers confidential, free HIV testing, sexually transmitted disease (STD) screenings, and Hepatitis C testing. However, if you do not fall into one of these high-risk categories, we can still assist you. Talk to one of our Prevention Specialists to set up an appointment. Call us at (845) 704-7624. HVCS uses either a finger-stick blood draw or an OraSure oral swab (instead of a blood draw), depending on where we can offer you a test (our office or a remote site). Both tests deliver results in about twenty minutes. We provide you with pre- and post-test counseling, and we can answer any questions you may have about your sexual health. Confidential tests are performed in a safe and secure environment. It is important for anyone having an HIV-antibody test to understand the testing procedures of the testing center. There are two types of test procedures: confidential and anonymous. No matter which type of test is received, the results are covered under the confidentiality policies of Article 27F of the Public Health Law and cannot be shared with others. Confidential HIV-antibody testing centers record the person’s name along with the results of his/her test. The only people with access to your test results are medical personnel and, in some states, the state health department. However, your status may become known if you sign a release form to have your personal physician notified. Once this information becomes part of your medical record, even a student’s medical record at a college or university, it may be seen by health care workers, insurers or employers. Your status also may become known if you make a claim for health insurance benefits or apply for life insurance or disability insurance. Anonymous HIV-antibody testing means that no name is ever given to the testing center and only the person who is having the test is aware of the results. However, anonymous testing centers cannot provide a copy of the test results. Anonymous testing is available in 40 states, the District of Columbia and Puerto Rico as of May 1997. New York State does offer anonymous testing. You may check with the CDC National AIDS Hotline (1-800-342-AIDS) for the most up-to- date information. The Department of Health offers free Anonymous Testing. Call for specific information on testing schedules and the type of tests given. Our STD Testing programs offers free tests for gonorrhea, chlamydia, and syphilis. We ask for a urine sample for gonorrhea and chlamydia testing. The test for syphilis is performed via a blood draw by one of our trained phlebotomists. Contact us at (845) 704-7624 to make an appointment. HVCS provides initial HCV (Hepatitis C Virus) testing using a blood draw. We also offer referrals and linkage for future follow-up, treatment if you are HCV-positive, and support during your treatment. To schedule a Hepatitis C test, contact us at (845) 704-7624. Learn more about our HCV Patient Navigation program here.